A zero-cash future might not be as close as some people predict, but in part it’s already here in the form of numerous payment services that allow people to send and receive money in real time – no need for checkbooks or cash withdrawal from ATMs. Some of these services, like PayPal, are internationally popular, while others are confined to local markets (WeChat payments in the Chinese market, for instance). But whether local or global, payment apps are changing how we use money in our daily lives. The universal popularity of mobile devices has helped certain types of payment apps like Venmo and clearXchange to grow quickly. Today we want to look at one other peer-to-peer payment service – Square Cash – in detail. Square Cash is a product of Square Inc., one of the largest payment processing companies in the US market. The Square Cash service allows friends to instantly send money to each other and allows businesses to accept card payments. In short, it’s a very convenient peer-to-peer payment application: sending money through Square Cash is almost as quick and easy as paying with good old cash. As the product of an established company, Square Cash is part of a large ecosystem. Square’s products include payment and point of sale services as well as financial and marketing services. And with Square’s name recognition and reputation as a trustworthy business, the Square Cash app didn’t have a hard time acquiring users after it launched. Square Cash is not the only software product Square has created: they also have the Square Register App (a free point of sale app for iOS and Android mobile devices), the Square App Marketplace, and other applications that allow business owners to integrate Square features. By releasing such a range of applications, Square has been able to create an ecosystem of software products that complement each other and have backed that ecosystem up with strong customer support. 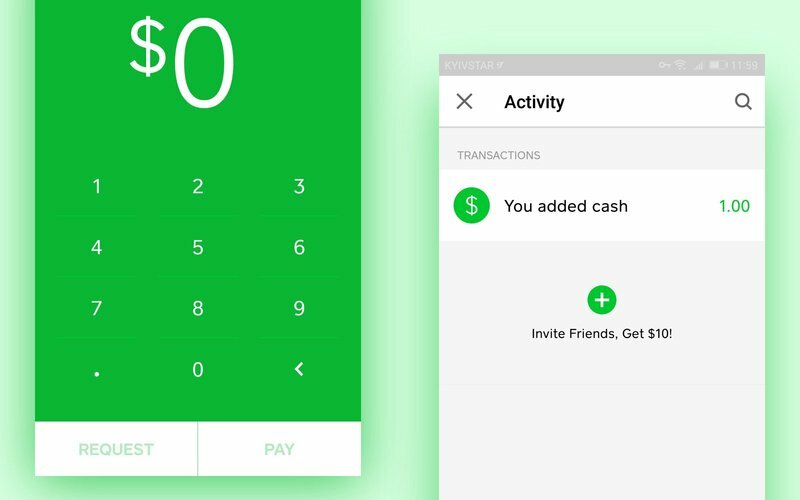 Square Cash is free when you’re sending money to friends and family with your debit card. When sending money to the business, however, Square Cash business account lets businesses request payments for goods and services with a 2.75 percent commission fee for each transaction. Square Cash for businesses lets business owners and organizations claim a unique username known as a $cashtag that they can then use to send and receive money. 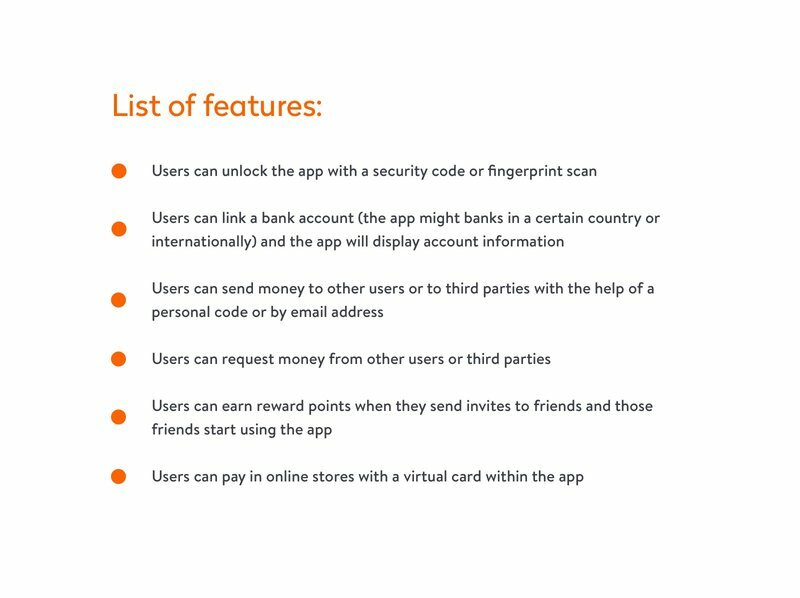 Users without a cashtag can use their mobile phone number as an ID to send and receive payments through the app. You don’t have to claim a cashtag to use the service, but it is the easiest way for customers to pay street vendors, florists, or freelance photographers and other owners of small businesses. As of 2016, the Square also launched a virtual card, giving every user a Visa debit card number that they can use to pay wherever they would normally pay with Visa: online shopping sites or regular retail stores (at this point availability of the service only depends on the retailer). The United States fintech landscape is dominated by a number of companies that provide payment services including personal peer-to-peer payments: PayPal, Venmo, and Square. Amazon, Facebook, and Apple recently joined the competition as well. Other markets – such as the Asian market – often use these same international options plus their own payment systems that are unique to a particular country’s market. In this highly competitive environment, every new app that hits the stores has to clearly indicate what sets it apart and makes it better than other payment services. What are Square Cash's advantages compared to its competitors? Square Cash is free for peer-to-peer personal payments and a charges fair commission fee for business transactions. Cash.me URLs by Square Cash let users send and receive money even if only one party has the app, which is convenient for businesses (in other words, a client can pay through Square Cash even if they don’t have an account). Small time brick-and-mortar businesses such as local flower shops can now get paid easily and gain name recognition. Square Cash payments are processed immediately; only rarely do they take up to two days to process (depending on the recipient’s bank). Square Cash provides a fast and convenient way for small businesses to request and receive payments using so-called $cashtags that are unique to each user. How does Square Cash ensure the security of their operations? One significant concern that all fintech companies have to address at some point is the security of their service; all users of payment services wants to know what is being done to protect their financial data. A security lock feature that allows for Touch ID or CVV entry depending on a user’s choice. Instant notifications via email, text message, or push notification if suspicious activity is detected in a user’s account. Customer support and fraud protection services. First level of PCI DSS certification (payment card industry data security standard). PCI DSS is a set of security standards that was defined in 2004 by several major companies – Visa, MasterCard, JCB International, Discover Financial Services, and American Express. Being certified according to PCI DSS is a requirement for any company that processes credit or debit card transactions. This certification means that, even though there is no such thing as 100% safe digital transactions, transferring money with Square Cash is about as safe as using your Visa card at the supermarket. The fact that Square Cash has this certification is already proof enough for potential users who might be hesitant to try the Square Cash app for security reasons. What monetization model does Square use? Every fintech application has to figure out a healthy balance that allows its service to gain traction and at the same time remain profitable. For money transferring applications, monetization is often a question of picking the optimal commission fee for different types of clients. 1. Square Cash, being a part of the much bigger company, has a lot of financial backing, and consequently they had an opportunity to launch the first version of their service as a completely free app. This helped Square Cash app gain initial traction. Square also passed on the traditional model of monetizing similar services using paid ads. Square states that they have no plans to show ads to their users, even if the brand that wants to be advertised does business with Square. Square can afford avoiding ads because they wants to draw users’ attention to how smoothly the service allows users to transfer funds. Smaller companies that are not affiliated with financial corporations or banks might not have an opportunity to start with a free version, and might have more difficulties with finding a profitable monetization strategy for their P2P app. 2. Companies like Square have multiple sources of revenue: transactions, software and data products, and SaaS services. Square Cash taps into the transaction revenue stream by charging 3 percent commission for transactions paid by credit card.. Square Cash is also working on developing premium features – for example, a paid plan that will let users enjoy the service internationally and not just in the US. What does it take to build an app like Square Cash? Square Cash, supported by Square’s security and name recognition, has been growing quite rapidly, with roughly $1 billion in transactions processed through the app in 2015. As of today, Square Cash has clearly become one of the leaders in the world of P2P payment solutions. On top of the technical difficulties involved in developing a complex application that can handle a lot of data and exchange it with banks, creating a product like Square Cash poses a number of other challenges. What can you do if you want to develop an app like Square Cash but can’t commit to a truly complex and expensive project? 1. Start with a smaller, regional market. Starting with a smaller market will give you a chance to find the optimal product–market fit and see how users respond to your service. This way you also won’t have to worry about competing directly with big players like PayPal right away. Not every peer-to-peer payment system has to go global to be successful: quite often regional banks invest into developing customized P2P platforms just for themselves. 2. Security is one of bigger pain points for financial apps. Users can forgive slightly laggy performance or even a clunky UI, but they want to be absolutely sure that their money and their personal information is safe. Getting certified according to the requirements of the payment card industry will help you ensure that your service will be taken seriously and will have a good reputation in the field. Design your app’s architecture with a constant focus on security and reliability. 3. Go with third-party APIs and services wherever possible. There is little point in investing a lot of money right away into developing each separate feature from scratch if you are not certain how successful your product will be. Using third-party APIs is common practice when developing financial apps, and drives down costs. Third-party APIs can accomplish a lot of tasks; for instance, APIs such as Synapse Pay let you create secure accounts, send payments, and manage compliance, while the Dwolla API gives you the opportunity to connect your platform to the US banking system. 4. If you are building a standalone app and not a part of a bigger system, you might not have a luxury of ignoring paid ads as a potential source of revenue. Finding a monetization model for a new application can be very tricky, and will likely involve compromise. There is nothing wrong with drawing revenue from several sources. 5. Invest in retaining customer trust: provide multiple support channels via online chats and email and make sure to respond to all requests and give detailed feedback. People do not take to it kindly if a money transaction doesn’t go through and they can’t reverse it or resend it. How much does it cost to create an app like SquareCash? The app development cost depends on various factors, including how big the team is, what services they provide and and where they are located. If you are interested in building an app like Square cash, get in touch with us and find out all necessary details!